Able to carry heavy loads over great vertical distances, vertical conveyors have two main types: vertical reciprocating conveyors and vertical continuous conveyors. Also referred to as mezzanine lifts, platform lifts and material elevators, vertical conveyors are used in applications such as bulk material handling, unit material handling, baggage handling, warehousing, distribution and packaging. Industries that utilize vertical lift conveyors include aerospace, automotive, industrial manufacturing, construction, pharmaceutical, agricultural, fitness equipment and food processing. There are many advantages when it comes to using vertical conveyors for material handling applications. Vertical conveyors reduce labor expense and time spent as well as low operating costs and easy repositioning. 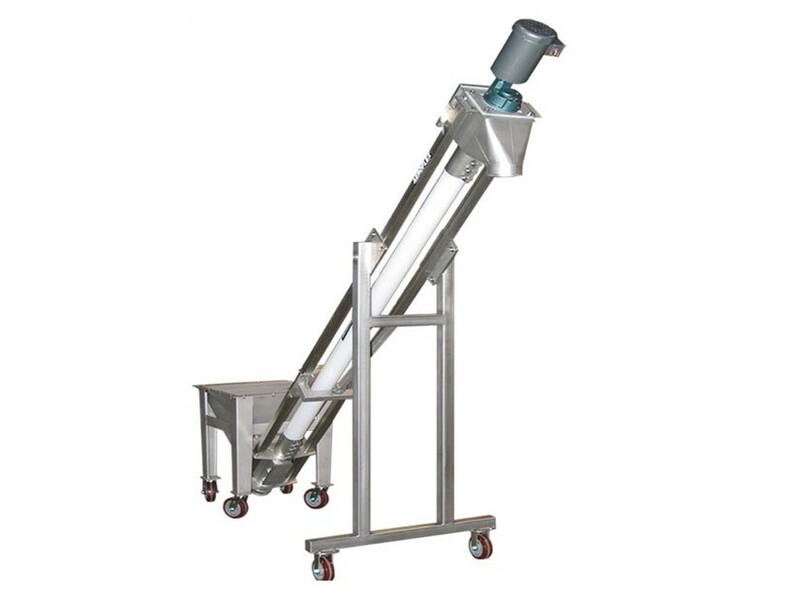 Vertical conveyors are ideal for short distances and are capable of long distances as well. Vertical reciprocating conveyors (VRCs) have some advantages over continuous vertical conveyors as well, offering multiple cartons per lift and less noise and footprint incase. However, continuous vertical conveyors have advantages over VRCs in terms of greater throughput. Vertical conveyors are designed to offer ease of product movement between multiple levels. Vertical reciprocating conveyors are designed to receive products on one level, lift or lower them vertically, unload them at another level and then return to the starting point. VRCs principally consist of a single platform or carriage, a tower unit, guide columns and an actuating mechanism. VRC come in two basic types of actuating systems: hydraulic, used for carriage sizes of up to 10’by 10′ and vertical lifts up to 22′ with the ability to stop at two levels; and mechanical, used when larger carriages and vertical lifts are required and can stop at three or more levels. VRCs can come in four different lift designs; straddle, cantilever, four post and double mast. Continuous vertical conveyors are designed to accept products horizontally on one level, move them vertically and unload them horizontally at another level in a continuous non-stop motion without having to return to the starting point. Products are loaded into the conveyor by a feed conveyor that is positioned in front of the continuous vertical conveyor. Continuous vertical conveyors consist of one or multiple platforms or carriages, a tower unit, guide columns and either hydraulic or mechanical actuating mechanisms. Modern vertical conveyor systems are equipped not only to move parts across vertical distances, but also to curve, divert, lift and sort products and packages as part of complete automated systems. Vertical Conveyors A type of material handling equipment, vertical conveyors are used to move products or materials up or down between multi-levels instead of traditional horizontal movement, and are commonly used in intermittent flow operations and in environments where limited horizontal space is available.